Online retailer Love Beauty Rocks is proud to announce that it’s quickly approaching its one year anniversary. By taking consumers through the origins of its conception, while simultaneously providing a look at what’s to come in terms of merchandise, including new accessories and their introduction into footwear. Lovebeautyrocks.com was founded in the summer of 2015 as an online boutique with the purpose of reselling some of fashion’s top brands like Rachel Zoe, Volt, Young Fabulous and Broke, and Snowman at affordable prices. Founded by fashion enthusiast Carla Estelis, Lovebeautyrocks.com offers women’s clothing and accessories in addition to offering fashion advice and recommendations through their various social media channels. Unlike other online boutiques LoveBeautyRocks chooses not to segment their target market by only selling specific brands, instead carrying products that consumers of various shapes, sizes, and age groups can appreciate. Always keeping up with what’s in season, Lovebeautyrocks.com offers everything from springtime skirts and leggings, to vests and jackets more suited for the winter time, and everything in between. It’s also worth mentioning that their products are available all year long, meaning visitors can shop plan out their outfits months in advance. To celebrate their one year milestone, LoveBeautyRocks has decided to give their customers a sneak peek at what’s to come. In addition to a larger selection of products from Endless Rose, Young Fabulous and Broke, as well as Rachel Zoe, just to name a few, Lovebeautyrocks.com also plans to release men’s clothing and footwear in the near future. This allows their brand to expand to a much larger audience, which is sure to catch the attention of some notable names from within the New York fashion circuit. LoveBeautyRocks frequents various fashion events around the city of New York, from which fellow enthusiasts can purchase their products in person. There will be more evolving and inspiring designers coming from the walks of London, Paris and Russia. Stay tuned for more exciting and edgy fashion wear from LoveBeautyRocks. 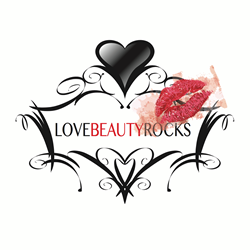 Those interested in learning more about Love Beauty Rocks are encouraged to visit their site at Lovebeautyrocks.com or follow their social channels on Facebook, Twitter, and Instagram. Love Beauty Rocks was established in 2014 as an online retailer of fashion with the goal of providing consumers with some of fashion’s top brands at relatively affordable rates.